Imagine yourself in a peaceful garden, sheltering your spirit from the worries of the day. 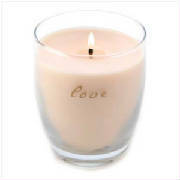 The hauntingly lovely vanilla cinnamon fragrance of this 10 oz. 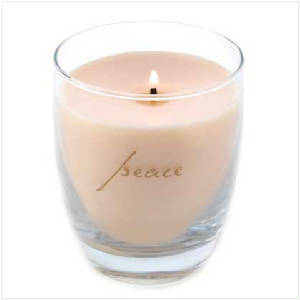 prayer candle instantly invokes a magical feeling of peace! Weight 1.2 lbs. Paraffin wax; glass container. 3 3/8" diameter x 4" high. Serenity and sweet dreams come naturally to mind, as this 10 oz. 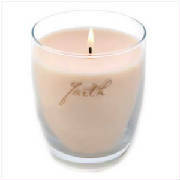 vanilla cinnamon scented candle casts an aura of tranquility. A wonderful way to inspire thoughts of love every day! A wonderfully unique vanilla cinnamon fragrance lifts the spirit and invites reflection on the many joys of faith, as this 10 oz. candle creates a marvelous golden glow.